The City Accelerator microsite is a collaboration among Living Cities, the Citi Foundation, and the Governing Institute. Meet the people who are working together on the City Accelerator team. 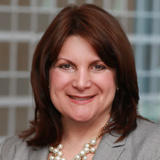 Brandee McHale is President of the Citi Foundation and Director of Corporate Citizenship at Citi. 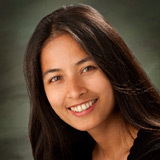 She is responsible for overseeing the Citi Foundation's global grant making strategy and for leading Citi's citizenship efforts, including volunteerism and environmental sustainability. Brandee is Board Chair-Elect of the Corporation for Enterprise Development (CFED) and also serves on the board of directors of the Local Initiatives Support Corporation (LISC) and Living Cities. 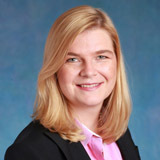 Kristen Scheyder is the Senior Vice President for Financial Inclusion and Sustainable Cities at Citi Foundation. She collaborates with a broad array of local and national partners to develop innovative programs that help promote economic progress and make cities work better for all residents with a focus on achieving scale and financial sustainability. 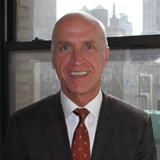 Andy Taylor is the Director of Citi Public Sector Group's U.S. State & Local Government business line. He is responsible for strategy and business development among Citi's clients in this segment, assisting these organizations to achieve their goals from a banking and investment services perspective. Andy also contributes to Citi's various initiatives focusing on urbanization, financial inclusion, and innovation. 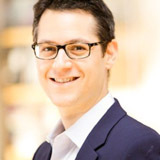 Josh Moskowitz serves as director, Strategic Initiatives, on Citi’s Global Public Affairs team. Josh manages GPA’s efforts with Citi for Cities, a cross-functional platform designed to highlight Citi’s commitment to enabling urban progress and expertise in providing innovative solutions to support the growth of cities around the world. 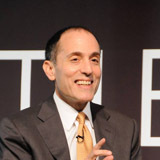 Ben Hecht was appointed president & CEO of Living Cities in July 2007. Since that time, the organization has adopted a broad, integrative agenda that harnesses the collective knowledge of its 22 member foundations and financial institutions to benefit low- income people and the cities where they live. Living Cities deploys a unique blend of more than $140 million in grants, loans and influence to re-engineer obsolete public systems and connect low-income people and underinvested places to opportunity. 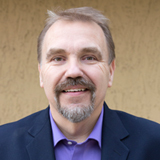 Steven Bosacker is Principal, Public Sector and Partnerships at Living Cities. He most recently served as the city coordinator for the city of Minneapolis where he championed accountability and transparency in services across municipal government. He was instrumental in advancing public-private cooperation, including the development of the Minneapolis Downtown Improvement District, and oversaw the implementation of Minneapolis 311. Steven also created Results Minneapolis, a comprehensive management system that drove and tracked progress on the city’s long-term goals. Elizabeth Reynoso is Associate Director of Public Sector Innovation at Living Cities where she works on the development of public sector strategies to foster promising public practices and accelerate the uptake of innovation across the country. With a background in human rights, workforce development, and farming, Elizabeth served as the first Food Policy Director for Newark, NJ under Mayor Cory Booker to develop policies and programs to increase food security for residents. She continued to serve the City of Newark as the Acting Sustainability Director in the Ras J. Baraka administration. Before municipal government, Elizabeth worked with international, national, and local nonprofits beginning her career in international human rights with Human Rights Watch and then later focused on criminal justice issues with the NJ Institute for Social Justice and her media work. One of her projects, a Frontline documentary, “The Drug Wars”, earned a Peabody for its telling of the 30-year history of US drug policy and its effect on the world economy and US foreign policy. Nigel Jacob lead the inaugural cohort of the City Accelerator. Jacob is Living Cities' urban technologist in residence and founder and co-chair for the Mayor’s Office of New Urban Mechanics in Boston. With an extensive background in collaborative, citizen-facing technology projects, Nigel also served as Mayor Menino’s advisor on emerging technologies and continues to develop new models of innovation for cities in the 21st century. 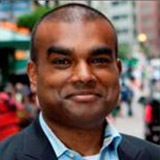 Prior to joining the city of Boston in 2006, Nigel worked for and launched a series of technology start-ups in the Boston area. Eric Gordon leads the City Accelerator's cohort on Local Government Engagement. He is an associate professor in the department of Visual and Media Arts at Emerson College where he is the founding director of the Engagement Lab. 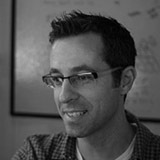 He is also a faculty associate at the Berkman Center for Internet and Society at Harvard University. Eric studies civic media and public engagement within the U.S. and the developing world. He is specifically interested in the application of games and play in these contexts. In addition to being a researcher, he is also the designer of award-winning "engagement games," which are games that facilitate civic participation. He has served as an expert advisor for the UN Development Program, the International Red Cross/Red Crescent, the World Bank and municipal governments throughout the United States. 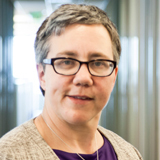 Julie Bosland is the Associate Director for Public Sector Innovation at Living Cities. In this role, she leads the Project on Municipal Innovation, equips local leaders to close racial and income gaps, and supports Living Cities’ efforts to promote more inclusive local economies. Julian Wyllie is Governing's inaugural City Accelerator Fellow, a position supported by the Citi Foundation and Living Cities. 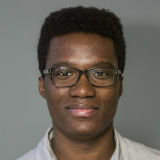 During the fellowship he completed a series of articles related to local purchasing, small business growth and city initiatives geared toward addressing economic inequality. Previously, he was a feature writer for the Indianapolis Recorder, one of the oldest African-American newspapers in the country, and was an opinion columnist, section editor and editor-in-chief at his university newspaper, The Butler Collegian. J. Brian Charles is Governing’s urban policy writer, Brian covers a broad array of issues affecting the nation’s cities. Before joining Governing, Brian was an opinion editor with The Hill newspaper, where he focused on publishing op-eds on criminal justice, race and education. He also written extensively on police reform and public health.